Join us for the unveiling of Joel Pfeiffer’s newest sculpture “WHEN SPIRIT SPEAKS” the first in his new GATEWAY series. Pfeiffer’s sculptures came to Ovation Sarah Chudnow on May 25 and will be on display until July 17, the sculptures can be viewed from 9 a.m. until 9 p.m. everyday. On Sunday, June 10 at 1:00 Joel will unveil his final piece in the GATEWAY series, a reception will follow the unveiling with wine and dessert and give attendees a chance to meet the artist. Pfeiffer realized that each piece is a product of play and discovery, during his creative process he would sometimes stop to take apart a sculpture and reassemble it leading him to something new and unexpected. The art moves Pfeiffer and he keeps finding himself in surprising new places because of it. Joel Pfeiffer, Wisconsin sculptor, earned his B.S. Art Education degree from U.W. La Crosse in 1972 and his Masters of Art-Ceramics from U.W. Milwaukee in 1985. Alongside of both of his degrees Pfeiffer has earned 30 post graduate credits. After graduating from U.W. La Crosse Pfeiffer worked as an Art Instructor at Howards Grove Schools teaching Kindergarten through sixth grade in Howards Grove, Wisconsin. 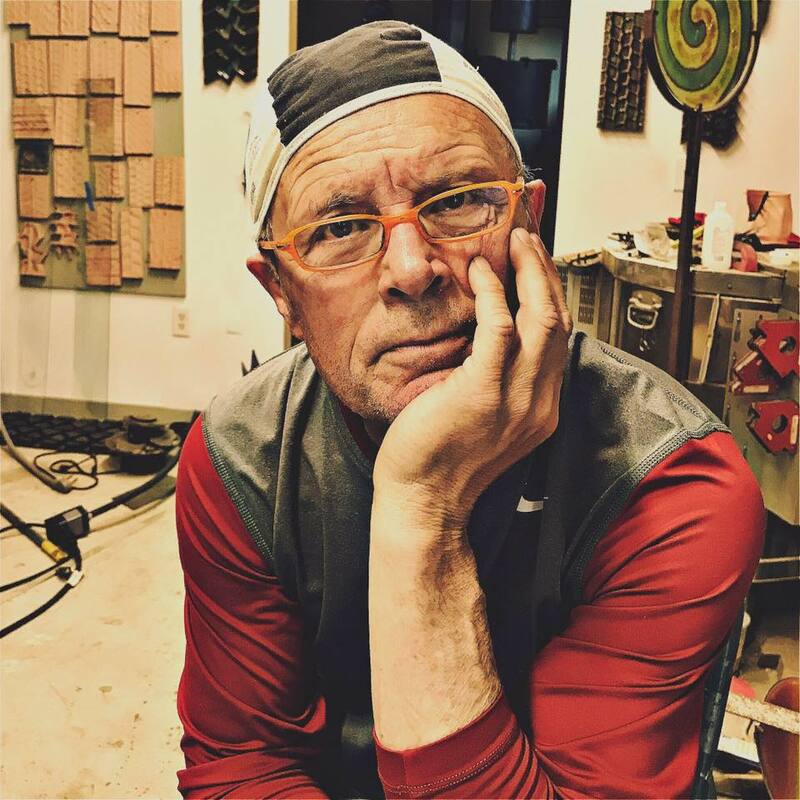 After spending five years teaching grade school children Pfeiffer began teaching ceramics and sculpture at Arrowhead High School in Hartland, Wisconsin. Pfeiffer owns Heartroots Studio in Hartland, Wisconsin, the studio is well equipped for creating strong, durable pieces. 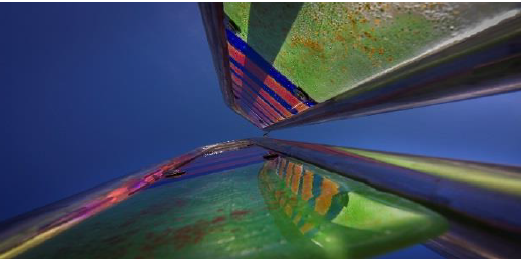 Joel Pfeiffer fuses stainless steel and glass into dazzling sculptures that truly “steel the light.” The gleaming elements of the finished pieces capture the eye and “steel” the light for all to enjoy.